I am writing this with a big smile on my face – I am relaxed and happy – and looking forward to my husband joining us on this adventure. Oh, and did I mention how VERY THANKFUL I am to my incredible team who is allowing me to have this break? I swear two weeks in, and I am already a new person. As you can tell, I haven’t been blogging, but that is because there is so much to do and see here! 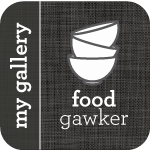 Also – if you have followed my blog for quite some time, you know that I don’t love cooking in other people’s kitchens. Even though we are here for a long time, the kitchen is not mine, and I the supplies are limited. Another big factor is the heat…it is very hot here, and we do not have air conditioning. So I am trying to be very careful about not using the stove or oven very much. We have been eating very simple dinners of bread, charcuterie and cheese – and a nice salad. I must say, it has been a welcome change. Before I left though, the cherries were in full bloom at our house. As with every year, we are always trying to figure out new ways to use them – last year’s cherry butter was a huge hit, but I just didn’t have the time to do any jamming before I left. Sad as that may sound… This year I have to give the credit to my husband – he came up with the idea to make cherry liqueur, and I thought it was brilliant! He even found the recipe on Serous Eats, and then I took over. Fortunately I was able to have a little taster the night before I left – and OMG this stuff is amazing!! So easy to make, and look at the color – it is screaming cherries. It is sweet and absolutely delicious. My husband has been enjoying it while we are enjoying our own delicacies – but he promised to save me a bottle so we could experiment with cocktails when I am home. Put the pitted cherries at the bottom of a sealable glass jar and muddle them with a wooden spoon or muddler to release some juice. Drain the juice into a separate container and set aside. Then add the brandy, vodka, and cinnamon stick to the muddled cherries. Seal and shake the jar. Let steep for one week at room temperature away from direct sun, shaking every few days. Combine the reserved cherry juice, sugar, and water in a pan and bring to a boil, stirring frequently until sugar dissolves. Remove from heat and let cool. Once the syrup is cooled, add it to the steeping jar, seal, and shake. Then let it steep for an additional 2 to 5 days. Strain through fine-mesh sieve lined with cheesecloth into glass jar or bottle. Store in the refrigerator for up to 3 months. A little time away from work and blogging does a wonder of good to put everything back into perspective. 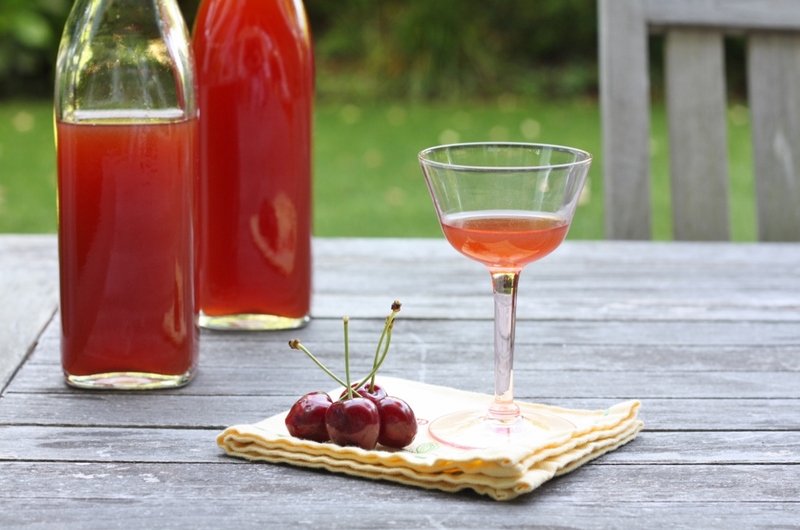 I love this idea of making a little cherry liquor, is it kind of like a cherry herring? Take care and enjoy your time! I’m so happy that you are enjoying yourself Dawn! You completely deserve this. It’s a great way to reconnect with yourself, your kids, your husband and life in general. What a wonderful opportunity! I love this cherry liqueur. I actually just made some as well. Different recipe that will sit for a while first. Such a fun way to use cherries! I made cherry liqueur last year! It was fabulous. But next spring try strawberry liqueur. It was even more incredible!! !